It's an image of all our four favorite guys from Wolf's Rain!!! Kiba,Toboe,Tsume & Hige!!! 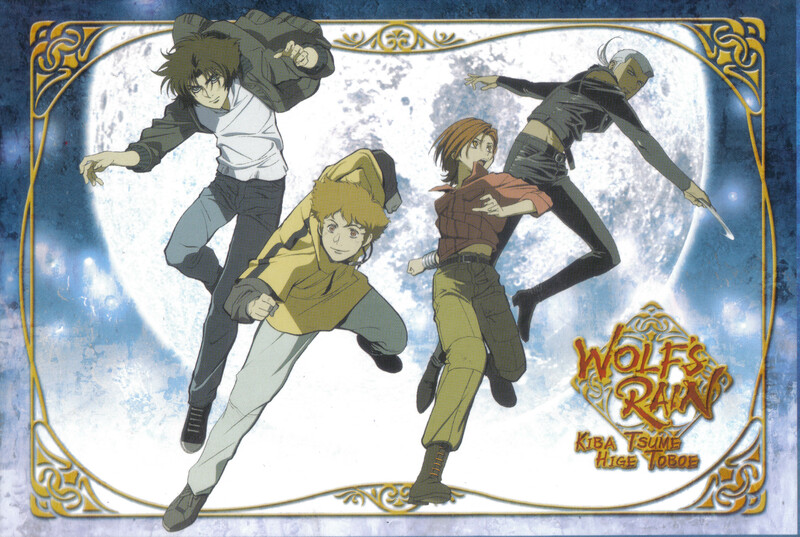 Wolf's Rain is such a COOL series!!! Wow! I had never seen this image before! Tsume looks so hot (doesn't he always?). Thanks for scanning and posting, now I can print it and have my very own WR postcard! I just <3 (LOVE) Wolf's Rain! Wow this is a great postcard! way cool pic. I love this one. I really enjoyed this series! The animation is beautiful! Thanks for the great scan!